Does My Dog Have Allergies? How Can You Tell If Your Dog Has Allergies? You may be asking yourself “Does My Dog Have Allergies?” Dogs with allergies are so common, there are millions of Google searches about dogs with allergies and entire Facebook groups devoted just to dogs with allergies! So how do you know if your dog has allergies or if it’s something else? I have done extensive research on allergies because our current dog Ginger has food and environmental allergies. And our dog Abby past away years ago from complications to taking steroids for her allergies. Then I’ve had a few foster dogs that had signs of allergies. What if your dog is showing all the symptoms of allergies, but he actually has something else? The first thing you need to do is rule out any other health concerns. There are a few illness’ and such that can mimic allergies. Yeast is a fungus and can make your dog’s body itchy. Even though yeast infections have many of the same symptoms as allergies, there is a unique smell to yeast that is easily detectable by a vet. It is possible that your dog’s yeast infection is a result of the allergies. Fleas can cause itching, redness, ear infections, all the same as allergy symptoms. But you will also likely see tiny little black/brown spots in your dog’s body creases. Check armpits, between the legs and inside the ears. If you see any black dusting you very well could have fleas. Dogs deal with stress in many different ways. It’s not uncommon to notice dandruff, scratching and paw licking when dogs are stressed. I see these symptoms in many of our foster dogs. Until they get settled and realize they are in a safe place, foster dogs are usually very stressed. Leaky gut is a bit more complicated but simply put, it is bacteria fighting your dog’s immune system function. Some causes of leaky gut include antibiotics, anti-inflammatory drugs, steroids, vaccines, stress, along with your dogs’ diet. It’s very important to talk with your vet if you suspect your dog has leaky gut. It can be very serious if left untreated. 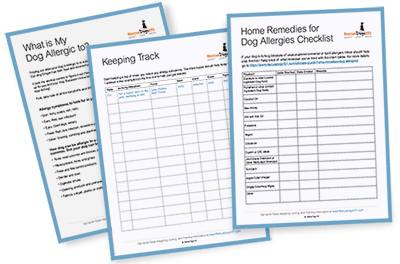 Solve Your Dog's Allergy Mystery! Hypothyroidism also has many of the same symptoms as allergies, but may also include unexplained weight gain, muscle loss and lack of energy. Your vet can perform a quick blood to determine if your dog has a thyroid issue. Ringworm can cause itchiness and rash looking red circles on your dog’s skin. Look on your dog’s belly to see if he has a red rash in the form of small circles. If so, head to the vet right away for treatment. 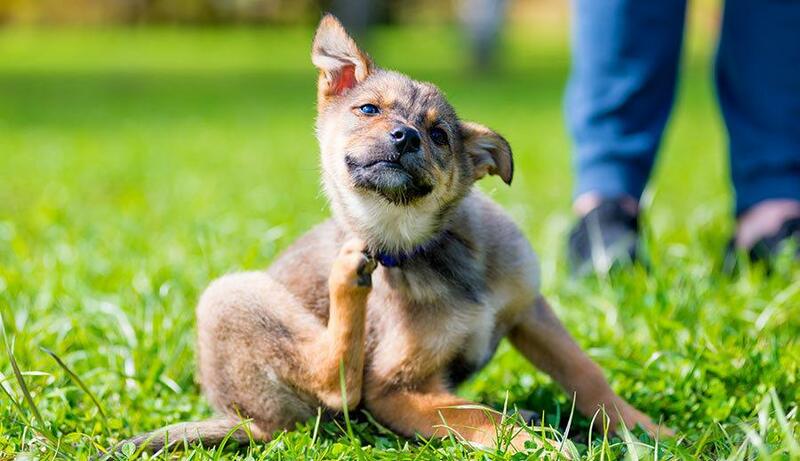 In the beginning stages of mange, it mimics allergy symptoms of itching. But you will also see symptoms of hair loss, then crusty and red bumps. If you’ve ever seen a dog with mange, you know it’s not pretty. Take your dog to the vet to be tested so you can start treatment quickly. Okay, now that we have all the other possibilities out of the way, and you still feel your dog has allergies, let’s move on to all the symptoms. What Is My Dog Allergic To? If your dog is itchy in the typical allergy seasons, spring, summer, and fall, and NOT in the winter, then your dog has seasonal allergies. Your dog can be allergic to many things inside your home, such as dust, perfume, household cleaners, lawn chemicals and so much more. Ginger’s paws were red for so long, I tried so many different treatments, I just assumed it was part of her food allergy. But when we moved this summer from the suburban neighborhood to the country, I was shocked to notice Ginger’s paws cleared up immediately. I really think that the lawn chemicals she encountered from our daily walks is what was the root cause of her irritated paws. If your dog is itchy all year round, he may be allergic to his food. The best way to find out what foods he is allergic to is with an elimination diet. I did the elimination diet with our dog Ginger. At first, I was trying different brands and proteins of dry kibble. This really didn’t work because every brand uses different supplements and ingredients in their food. Some have eggs, chicken by-products, wheat and more ingredients that your dog can be allergic to. With the elimination diet, you need to take away every variable other than the one you are testing. I ended up cooking for Ginger during the process and we did finally narrow down her allergies so I can control what she eats now. It’s always a good idea to talk to your vet if you suspect any illness or allergies. But don’t just rely on the vet to guide you in the right direction. Do your own research so you are well educated about your dog’s health. Next, read The Ultimate Guide to Home Remedies for Dog Allergies. This will help you in the next stage of detecting your dog’s allergies. TIP: I have a Pinterest Board specifically for dog allergies, make sure to follow the board so you can have all the resources at your fingertips. Debi McKee is the mom of Ginger and Bear (and three human kids too), lifetime dog lover and a volunteer for a rescue as foster home. She is the creator of Rescue Dogs 101, were she guides you in your journey of adopting and raising a rescue dog every step of the way. Sign up for the free resource library! It is jam-packed with valuable resources that you will use throughout your journey.... all for FREE! Over 10 time-saving, live-saving resources ready to download right now! Track your dogs health care, learn your dogs body language and more! Use our checklists to help in adoption, shopping, allergies, and training your dog. Sign Up Below... and Get Instant Access to our Resource Library Right Now! In exchange for your free ﻿access﻿, you will automatically be ﻿signed﻿ up for our weekly newsletter. 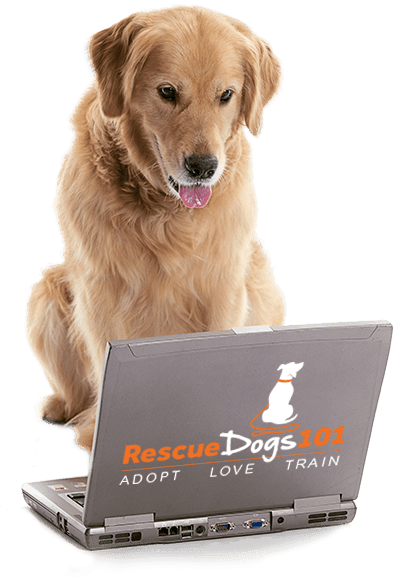 Each week we will deliver awesome, must-have tips on adopting, loving and training your dog. ﻿﻿﻿Plus, I will let you know anytime I add a new resource in the library, so you will never miss out on a single treat! ﻿﻿﻿And if you're worried you already get too many emails, don't worry... I keep my emails fun , short and sweet. Plus, you have the option to opt-out at any time.